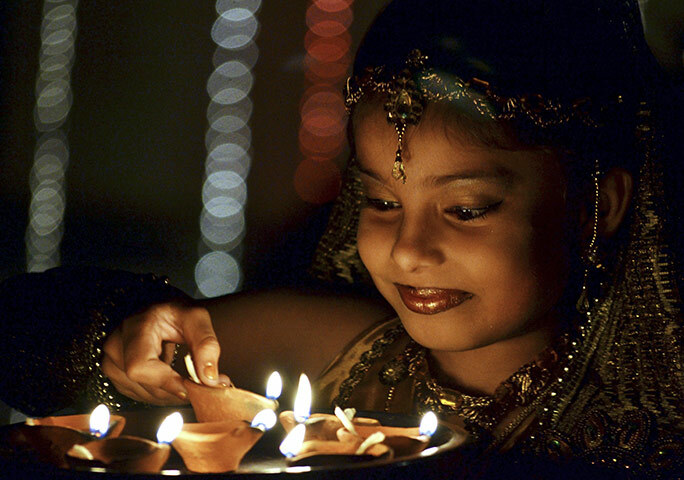 For Hindus, Diwali is the most important festival of the year and is celebrated in families by performing traditional activities together in their homes. 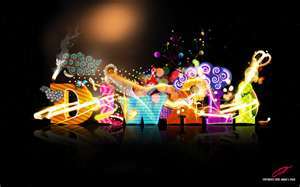 Deepavali is an official holiday in India, Nepal, Sri Lanka, Myanmar, Mauritius, Guyana, Trinidad & Tobago, Suriname, Malaysia, Singapore and Fiji. 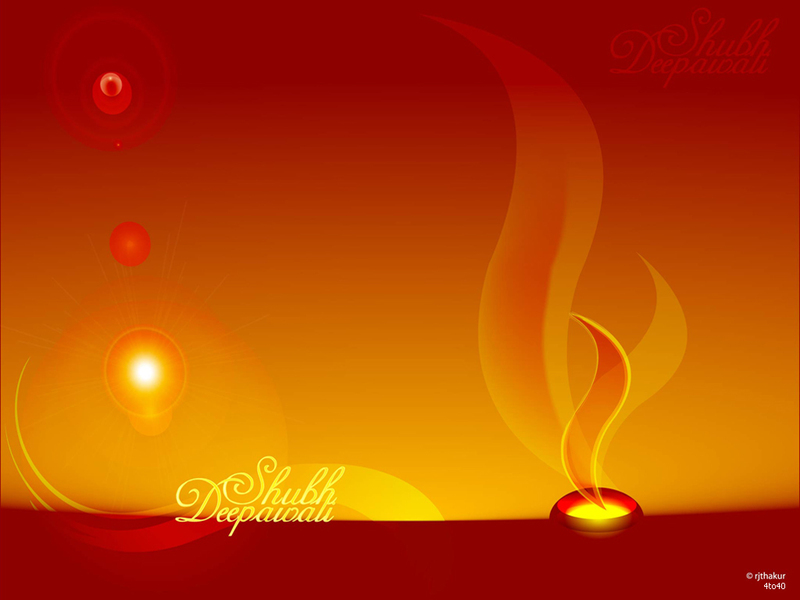 Deepavali or Diwali, popularly known as the festival of lights, is an important five-day festival in Hinduism, Jainism, and Sikhism, occurring between mid-October and mid-November. The name Diwali is itself a contraction of the word "Deepavali" (Sanskrit: दीपावली Dīpāvalī), which translates into row of lamps. 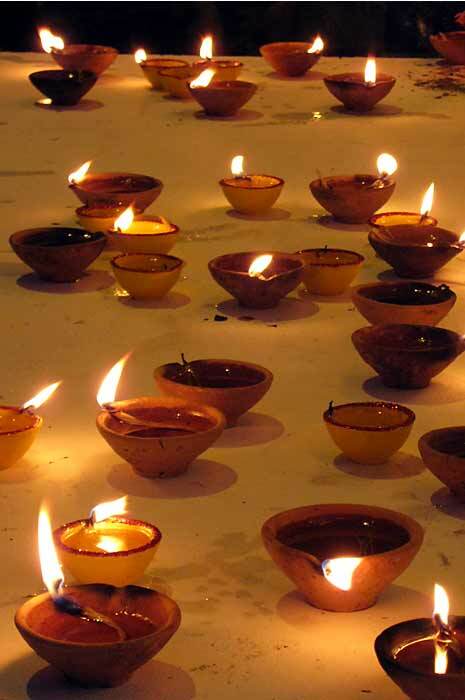 Diwali involves the lighting of small clay lamps filled with oil to signify the triumph of good over evil. 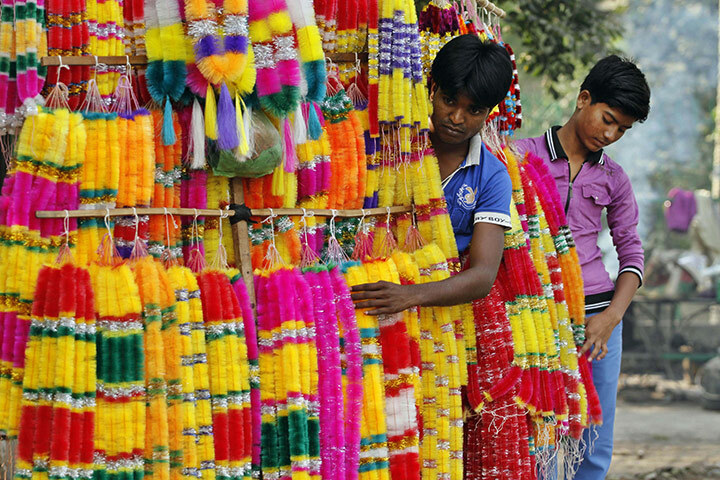 During Diwali, all the celebrants wear new clothes and share sweets and snacks with family members and friends. 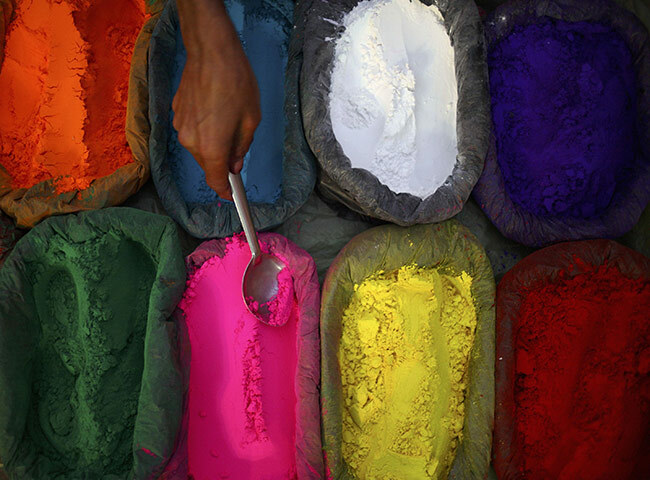 Most Indian business communities begin the financial year on the first day of Diwali. 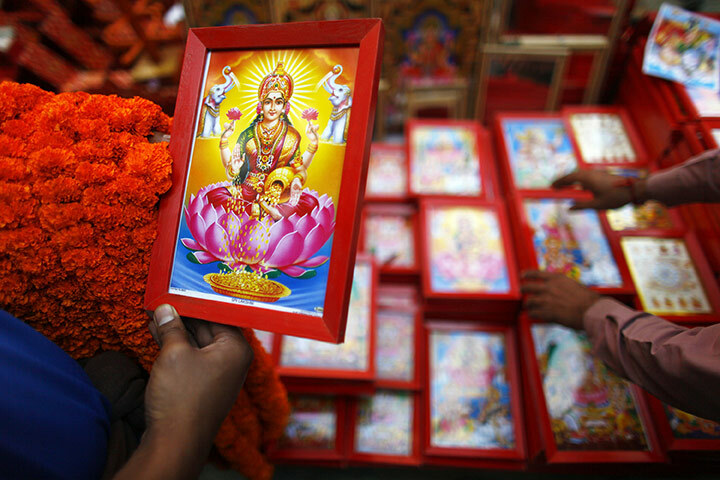 Diwali commemorates the return of Lord Rama along with Sita and Lakshman from his fourteen-year-long exile and vanquishing the demon-king Ravana. 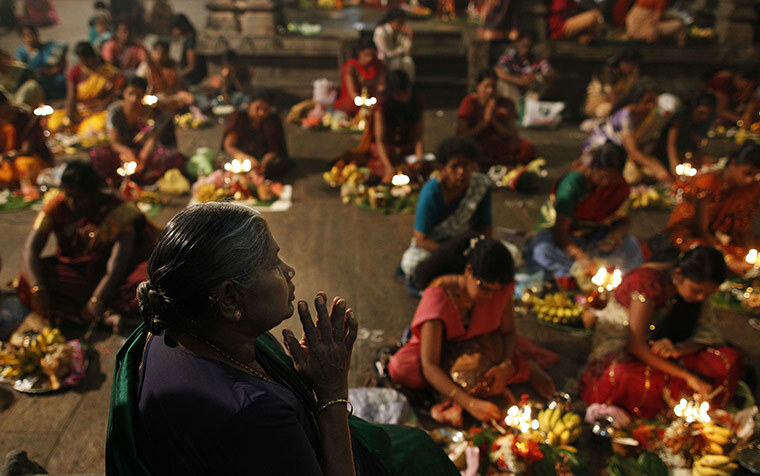 In joyous celebration of the return of their king, the people illuminated the kingdom with diyas (oil lamps). 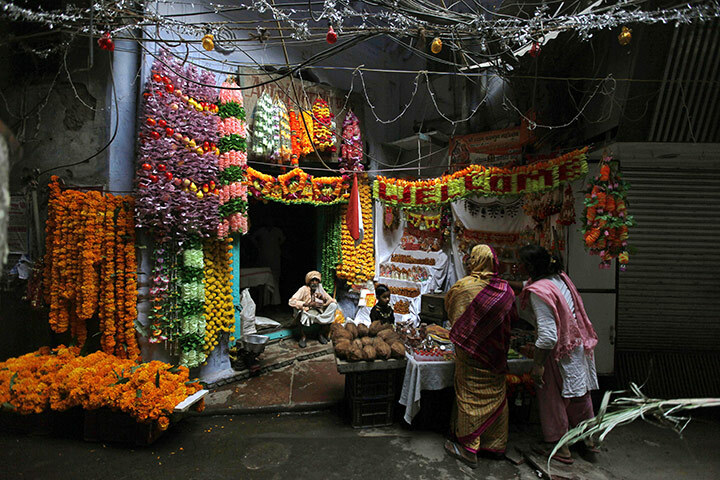 In Jainism,moksha Diwali marks the attainment of moksha or nirvana by Mahavira in 527 BC.In Sikhism, Deepavali commemorates the return of Guru Har Gobind Ji to Amritsar after freeing 52 Hindu kings imprisoned in Fort Gwalior by defeating Emperor Jahangir; the people lit candles and diyas to celebrate his return. This is the reason Sikhs also refer to Deepavali as Bandi Chhorh Divas, "the day of release of detainees". 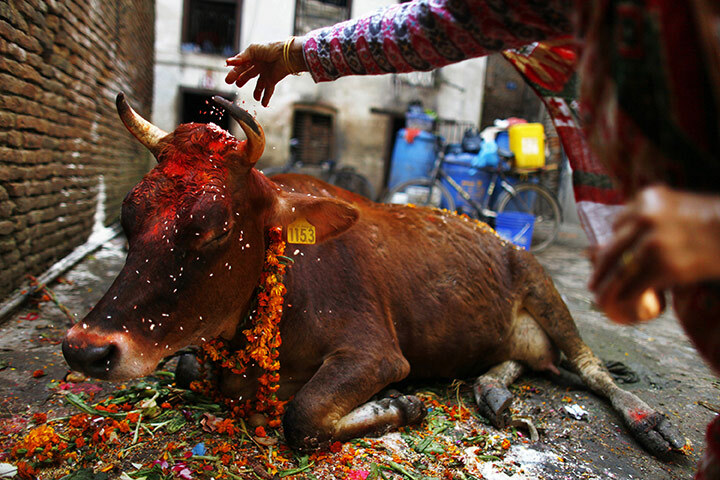 Deepavali is widely celebrated in both India and Nepal. The first day of the festival Naraka Chaturdasi marks the vanquishing of the demon Naraka by Lord Krishna and his wife Satyabhama. 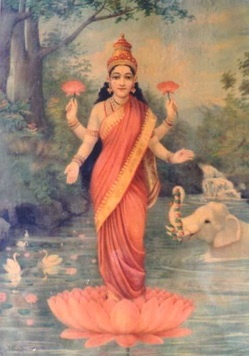 Amavasya, the second day of Deepawali, marks the worship of Lakshmi (see picture above), the goddess of wealth in her most benevolent mood, fulfilling the wishes of her devotees. Amavasya also tells the story of Lord Vishnu, who in his dwarf incarnation vanquished the tyrant Bali, and banished him to hell. Bali was allowed to return to earth once a year, to light millions of lamps to dispel the darkness and ignorance, and spread the radiance of love and wisdom. It is on the third day of Deepawali — Kartika Shudda Padyami - that Bali steps out of hell and rules the earth according to the boon given by Lord Vishnu. The fourth day is referred to as Yama Dvitiya (also called Bhai Dooj) and on this day sisters invite their brothers to their homes.